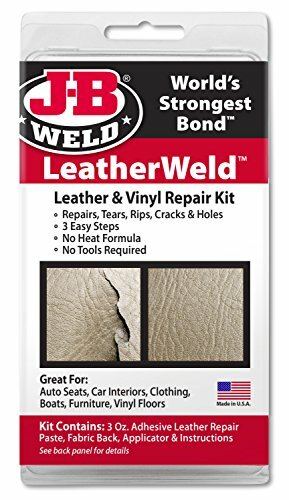 J-B Vinyl and Leather Repair kit is a professional kit with plug in electric heat iron to make pro-style repairs. Contains 3 oz. adhesive leather repair paste, fabric back, applicator and instructions. If you have any questions about this product by J-B Weld, contact us by completing and submitting the form below. If you are looking for a specif part number, please include it with your message.